At Earthplace we use our 62-acre wildlife sanctuary as an outdoor classroom. On trail walks through the woods, meadow, stream, and pond, we often spot wildlife in their natural surroundings, including deer, turtles, hawks, wild turkeys and groundhogs. Every week animals from our indoor Animal Hall come to visit. Campers learn about many creatures and their habitats, with the themes changing every week. There are many opportunities to explore new aspects of nature through hands-on activities, group games, field trips, hikes and crafts. Once a session, children in grades 1 through 4 go on area field trips. Some weeks our 3rd & 4th, and 5th-7th graders go canoeing. On other weeks the 5th-7th graders also camp overnight at Earthplace. We hope to give your child a summer experience that encourages him or her to appreciate all that nature at Earthplace has to offer. Call 203-227-7253 x 107 before registering. Earthplace, 10 Woodside Lane, PO Box 165, Westport, CT 06881. 203-227-7253. Visit www.earthplace.org. Greenwich Historical Society History & Art Camp, for children in second through seventh grades, features a highly interactive two-week camp closely focused on history and art themes that characterize Greenwich Historical Society’s Bush-Holley Historic Site. The first week, activities evolve around Colonial and Early American history. 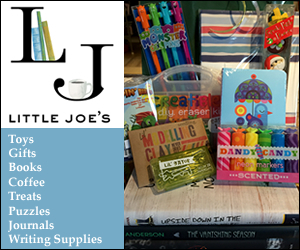 Second week focuses on art and the Cos Cob art colony. A field trip and a Friday Parents Day every week. Professional artists, educators and re-enactors provide additional instruction. Fun, engaging, hands-on. To register online or for more info, go to www.hstg.org or call 203-869-6899, ext. 18. With 35 years in education, Chris Del Campo has directed the camp for 22 years. 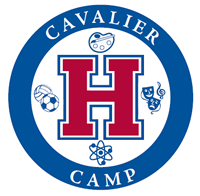 Our Cavaliers (grades 2-9) like creating their own schedule by choosing electives from the more than 45 activities which include the performing arts, the fine arts, swimming, ice skating, gymnastics, sports, science and so much more, and all taught by talented and caring professionals. Little Cavs (Pre-K -1st) love dabbling in the arts, splashing in our pool, exploring nature on our 125-acre campus, and so many other exciting things! Stepping Stones, Maritime Aquarium & Seaport Association: Water Wonders: Grades 1 – 4. Water, water everywhere! Hosted by The Maritime Aquarium and Stepping Stones Museum for Children, campers experience exciting hands-on activities at two museums. Discover the amazing properties of water through experiments and demonstrations. Learn about creatures that live under and around wet, watery worlds including live rainforest insects and exotic frogs. River walks and beach exploration bring it all home to Long Island Sound, our own watery backyard. Daily 8:30 am – 2 pm. For more information about the collaboration camps or to register, call 203 852 0700, ext. 2353, between 2:00 to 4:00 pm or email mailto:mcampdirector@maritimeaquarium.org. Stepping Stones Museum. Mathews Park, 303 West Avenue, Norwalk, CT. For more information, call 203-899-0606 or visit www.steppingstonesmuseum.org. Stone Barns Center for Food and Agriculture is 80 rolling acres of field, gardens, pastures and woods in Pocantico Hills, New York, where rich traditions of community-based farming are merging with the 21st century. Stone Barns Center’s Farm Camp is entering its eighth season. Camp sessions are designed for rising first graders through rising eighth graders. Our campers have the opportunity to see how the farm works and get their hands dirty by pitching in with farm chores and learning alongside our farm staff. In addition to activities focused on a specific theme, every camp session includes garden work, animal chores, cooking, crafts, games and hiking. At Farm Camp, we also explore the farm-to-table connection. A staff cooking specialist helps campers prepare healthy snacks several times each week, and older campers cook a full lunch together in a professional kitchen. Space is limited. Please register early! For more information, please contact Meghan Ryan, Camp Director: farmcamp@stonebarnscenter.org, or 914 366 6200 x111. Visit www.stonebarnscenter.org to download the brochure and to register.